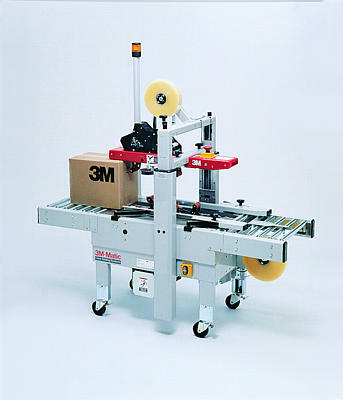 3M-Matic Case Sealer 200a is a durable bottom belt drive for sealing RSCs at up to 30 cases/min. Cost-efficient for basic case sealing. Dual masts with dual lead screws for extra stability and uniform height adjustments. Includes 3M AccuGlide II Taping Heads for low-impact application.